Ate at the hotel for breakfast today. 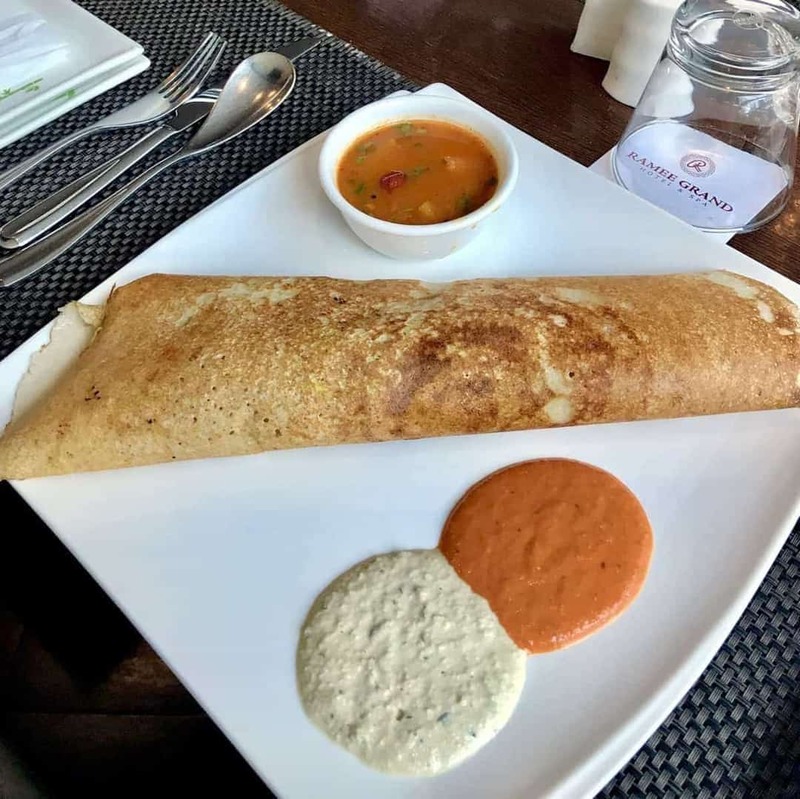 On top is a masala dosa (whose batter can be fermented on the yogurt setting ) with tomato chutney, coconut chutney and Sambhar which can be pressure cooked. 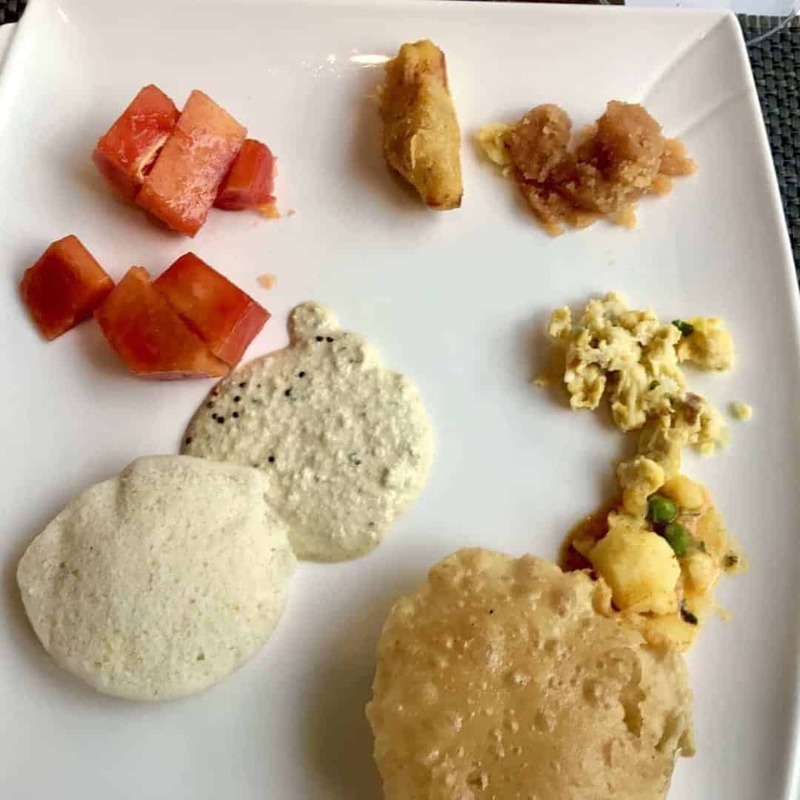 Bottom photo is idli which uses similar batter as the dosa, papaya, paneer fritter, sheera (also can be pressure cooked) egg Bhurji, potatoes and that puffy thing is a Puri. It’s fried bread. How much better can life get than fried bread? But for those of who you wondering how much a sleeved person can eat after 3 years? Not much. 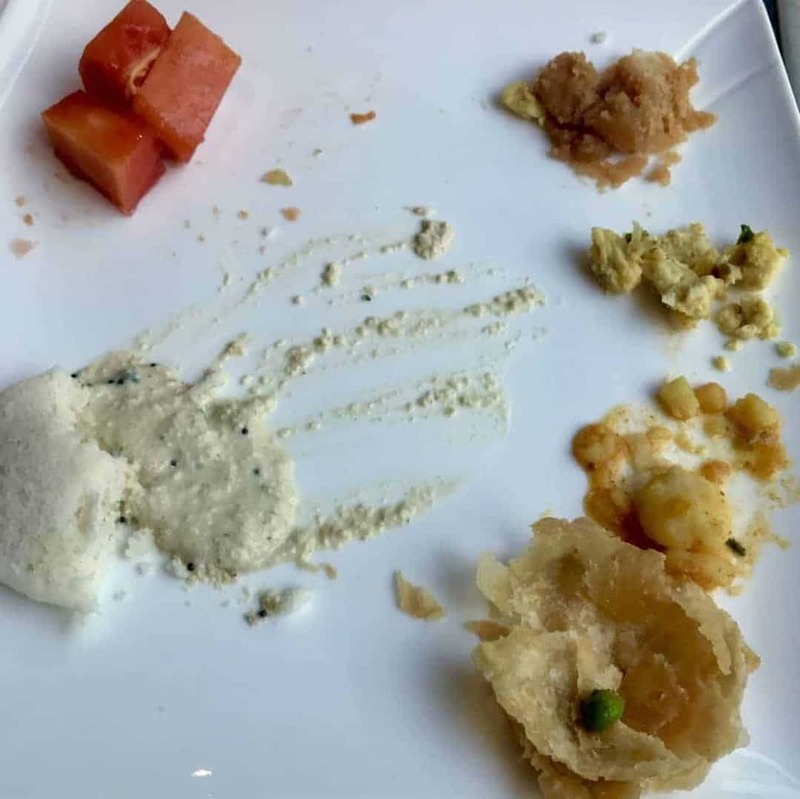 Roger was supposed to share the dosa with me but he got full on 3/4 cup of fruit. Below is what I had left over. keep in mind this is with all carbs. If I eat protein like I do at home, I can’t even eat that much. 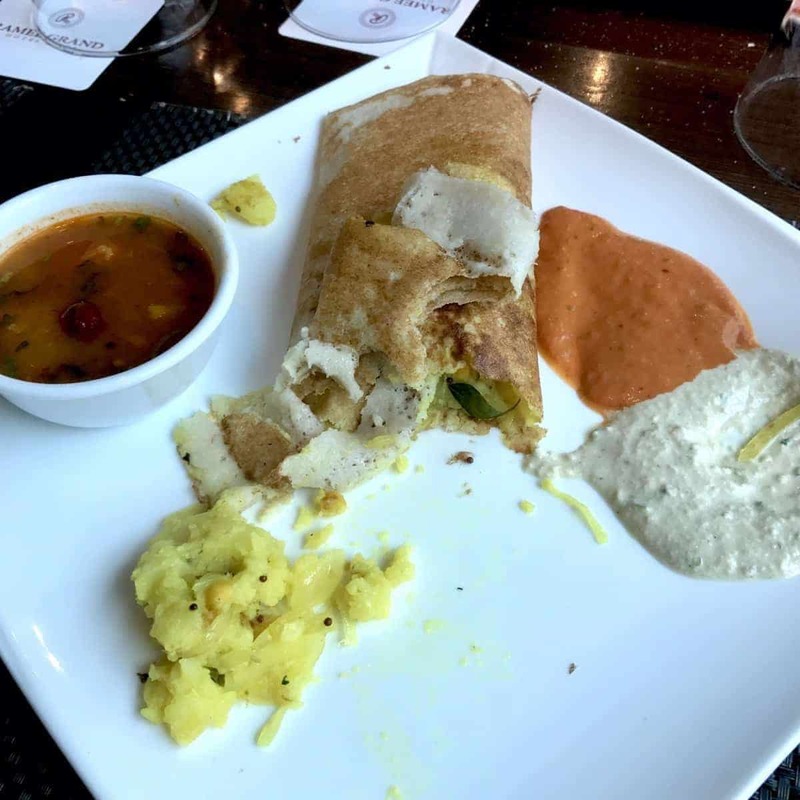 So less than half the dosa, almost none of the potato filling in it, and only managed 1-2 bites of everything else. That sleeve works. You just have to not graze, and not eat slider foods. I love it. I get to enjoy what I eat with no guilt. So glad I got it. I can eat over 10 ounces of meat. I’m okay with it though because I’ve been able to rebuild my metabolism and keep the weight off with keto/zero carb. I can eat lots of calories and still be stable. I was nervous at first about having a bigger sleeve, but grateful for it now! That’s fantastic! It doesn’t work as well for me even with keto or lower carb. For me to lose I still need to be at 800 calories and below 30-40 gms of carbs. How did you rebuild your metabolism? I did it with exercise (boot camp type classes). I also think that refusing to eat barely any calories helps too. With keto (I am 5’10”) I could maintain at about 1800 to 2300 calories. With zero carb, I can do about 2300 to 2800. I’ve had medgem tests and my metabolism increased by about 300 over the course of 2 years. Hopefully even higher now. I’d rather lose slow than eat almost nothing. I did have about a 30 pounds regain which is why I started strict keto! That’s great. Thanks for sharing how you did it. I can definitely eat more than I used to without gaining. Used to be I’d GAIN at 1200. But that is no longer the case. My BMR is still quite low and due to the RA, I can’t exercise much. But I’m happier now than before, because I no longer gain at 1200. I’m about 2 years out this year and I could probably manage a bit more but not much more (though I am also pregnant and always hungry at the moment!). I always save the rest for a bit later anyway! Congrats on the pregnancy! There are still days when I feel like I can eat a lot and others where I feel the restriction. Fasting helps me feel the restriction for sure.